London's literary and cultural scene fostered newly configured forms of feminist anticolonialism during the modernist period. 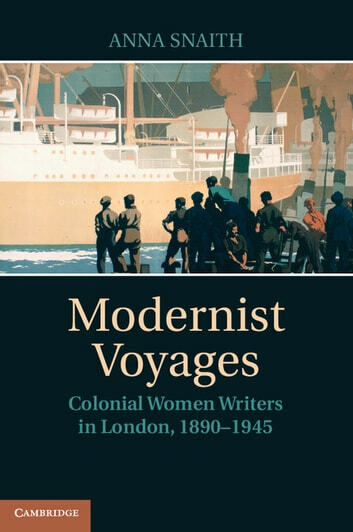 Through their writing in and about the imperial metropolis, colonial women authors not only remapped the city, they also renegotiated the position of women within the empire. This book examines the significance of gender to the interwoven nature of empire and modernism. 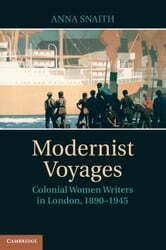 As transgressive figures of modernity, writers such as Jean Rhys, Katherine Mansfield, Una Marson and Sarojini Naidu brought their own versions of modernity to the capital, revealing the complex ways in which colonial identities 'traveled' to London at the turn of the twentieth century. Anna Snaith's original study provides an alternative vantage point on the urban metropolis and its artistic communities for scholars and students of literary modernism, gender and postcolonial studies, and English literature more broadly.